Prepare your dough as instructed on package. Heat your oven as high as it goes. How much horsepower is in that baby? 550°? Great. 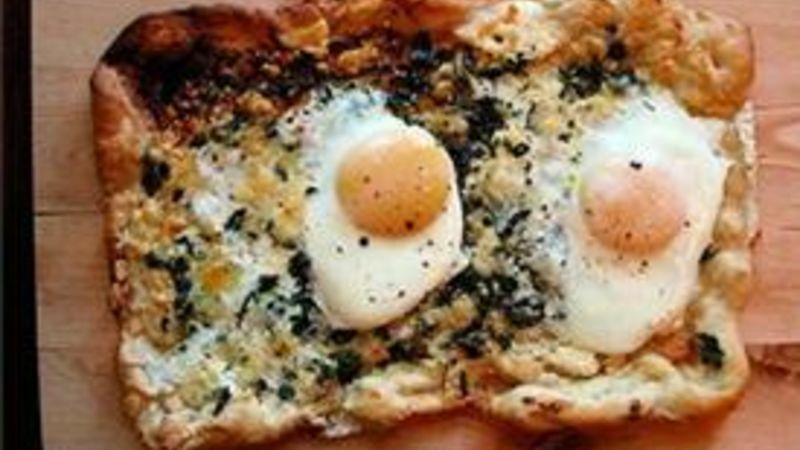 Put all your toppings on your crust (except eggs) and bake for 4 or 5 minutes. Crack your eggs into a cup and slip them onto the pizza. Add some salt and pepper, maybe some red pepper flakes. Bake for another 5 minutes or so until the yolks are set.